Obesity is no longer considered a cosmetic issue that is caused by overeating and a lack of self control. The World Health Organization along with National and International medical and scientific societies, now recognize obesity as a chronic progressive disease resulting from multiple environmental and genetic factors. The disease of obesity is characterized by an excessive accumulation of body fat. The Body Mass Index is one measure used to define overweight and obesity and considered a more accurate estimate of body fatness. Overweight is defined as a Body Mass Index (BMI) of 30 or higher and extreme Obesity is a BMI of 40 or greater. 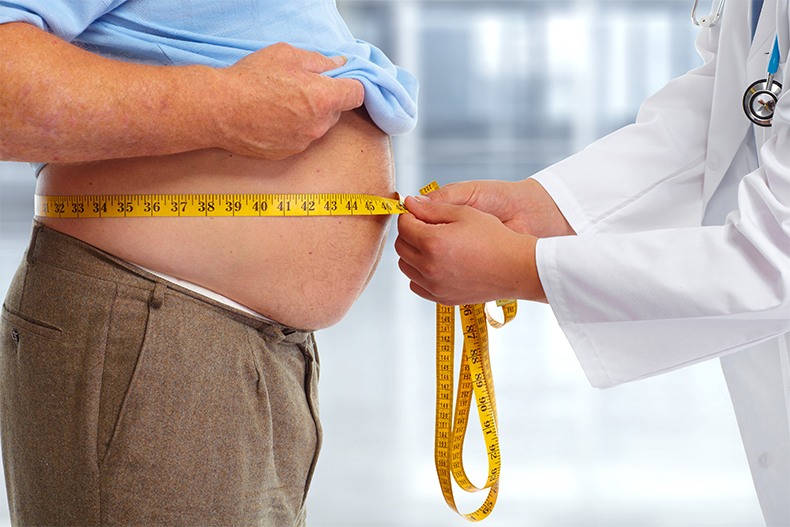 Extreme obesity is often referred to as Morbid Obesity due to associated health risks.Most insurance companies will require documentation of a co-morbid condition for a BMI of 35 – 39.9 to qualify for bariatric surgery. According to the WHO, 65% of the world’s population lives in countries where overweight and obesity kills more than underweight. Approximately 500 million adults in the world are affected by obesity and one billion are affected by overweight along with 48 million children. In the US, epidemiological data from an ongoing study show that 34% of adults more than 20 years old are affected by obesity and 68% are overweight. Obesity affects 10% of children between 2 and 5 years of age, 2% between 6 -11 years old and 18% of adolescents. Throughout the last 20-25 years, the prevalence of obesity has been increasing at an alarming rate. Unfortunately, research has shown that people with a BMI greater than 35 generally fail to produce permanent weight loss. With the above mentioned methods, several studies have shown that weight loss is approximately 10% of their body weight, and tend to regain two-thirds of it back within one year and almost all of it within five years.